Cars in America represent freedom, yet acquiring one can be an extremely difficult process. So, the local car guys at Pedal developed a website that brings the excitement back into the process. Their one-stop virtual shop lets customers search a vast network of car dealerships that offer leases and lets them view prices and models, video reviews, future service options, and more. The team is devoted to creating a community of trusted and transparent dealers committed to transforming the auto industry. 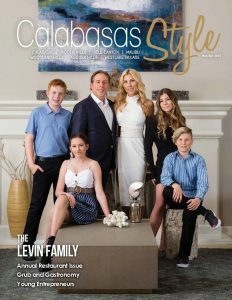 They promise to provide black-and-white comparative lease pricing for all vehicle types, makes, and models, while turning the usual antiquated and disconnected industry experience into a supportive and honest experience for all. 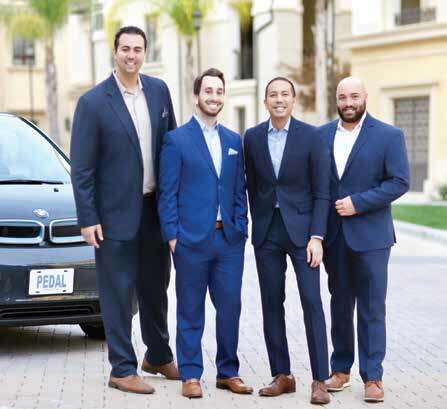 Although Pedal is presently a platform for leasing, the company founders aspire to create an entire automotive culture that supports all car owners and leasers everywhere. They currently provide users with tools to help in every stage of the car-buying process and beyond. They even offer the ability to search for cars based upon personal preferences and lifestyles — such as cars for dog lovers, surfers, or environmentalists. 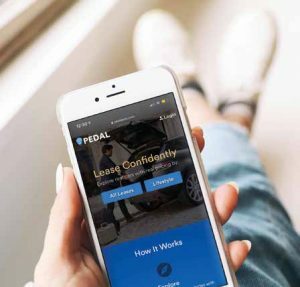 From researching vehicle options to maintaining your investment with top-quality service and maintenance facilities, Pedal is dedicated to making car ownership simpler. Those looking to test drive the site can visit pedalauto.com or email Ross Iannarelli at ri@pedalauto.com with any questions.